Van rentals are a convenient, inexpensive option for family vacations, church events and more! Midway Van Rental maintains each passenger van to the highest quality and provides excellent customer service. Call now to make a reservation! 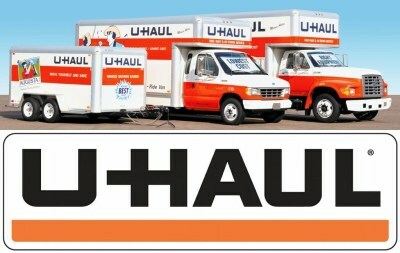 We have added UHaul rentals to our location! Call us for your moving needs! primarily 15 passenger vans for your travel needs. 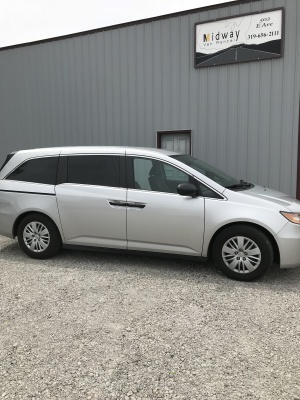 We also offer a minivan & luggage carrier. 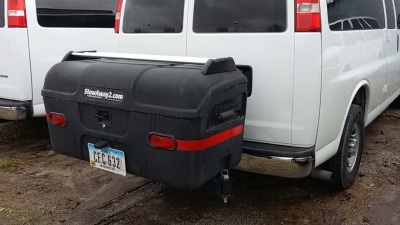 Many of our vans are equipped with hitch receivers. In the summer of 2018, we also became UHaul Dealers. Midway Van Rental has expanded to a new location and a larger fleet. 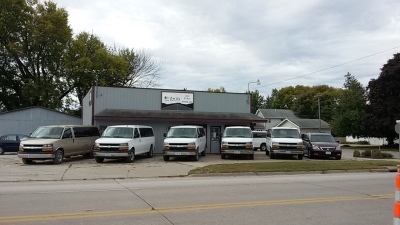 We are located at the corner of E Ave (Hwy 22) & 5th St, near downtown Kalona. Midway Van Rental is owned by Ellis & Hannah Helmuth and Alvin & Julia Kramer. Ellis is the General Manager and is an ASE Certified Master Tech. Alvin is also an ASE Certified Tech & Service Manager. Julia is the Office Manager and will help you with your scheduling needs. with a combined 50+ years in the auto repair business. We serve mid/eastern Iowa, with clients from Fairfield, Washington, Mt Pleasant, Iowa City, North Liberty, Cedar Rapids, Quad Cities and other communities in eastern Iowa. Call us to schedule your rental today!